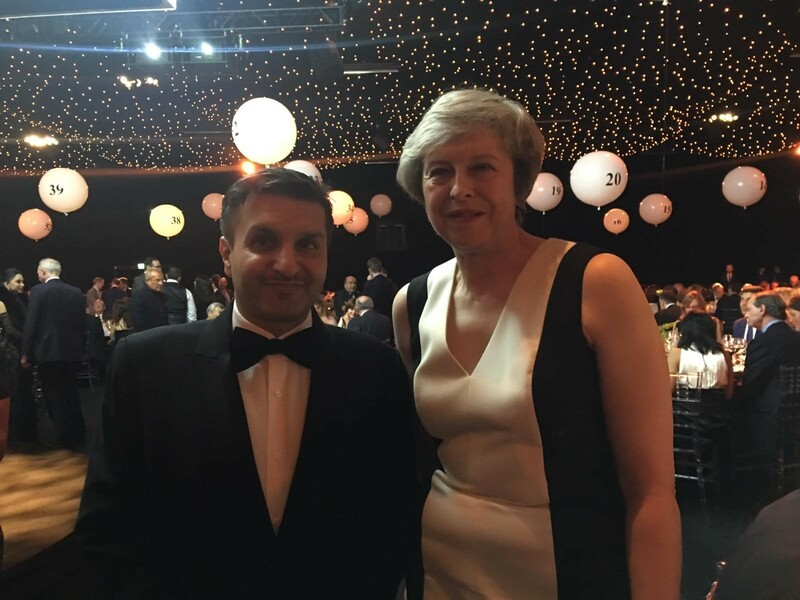 Leading city businessman Frank Khalid has opened up about meeting the Prime Minister Theresa May. Khalid who heads up a string of successful ventures met Mrs May last week at the Conservative Party’s lavish Black and White Ball at Battersea Evolution. Khalid who in a multi-award winning entrepreneur used the meeting to discuss how Brexit will effect his businesses which include Elbrook Cash and Carry, Chak89 and West London Film Studios. Cabinet ministers in attendance at the shindig included the Brexit secretary Stephen Barclay, the environment secretary Michael Gove, the Commons leader Andrea Leadsom, and the health secretary Matt Hancock.